Vinyl fencing is a type of plastic fence that has been made using PVC (polyvinyl chloride) resin. This resin, when combined with a number of other ingredients, provides a strong, durable and weatherproof fence. With over 60 standard styles of vinyl fencing available, we can mix and match your new fence design with 35 colors and 5 authentic wood grains. There is no other company like New Jersey Best when it comes to the available choices of colors, styles, and grains we can provide for you. Vinyl itself has been around for over 100 years, first invented in 1913. PVC first became popular in the US after BFGoodrich hired Waldo Semon to develop a material that could replace rubber. This began the process of developing the quality vinyl that today we use for a range of things, including our fences. the most common type of vinyl available it is widely developed, made from PVC, polypropylene, nylon, and polythene; and it is extruded from virgin resin. is made from plastics that have been recycled. Although this is a much more environmentally friendly option, it is usually lower quality and may not provide the security you require. 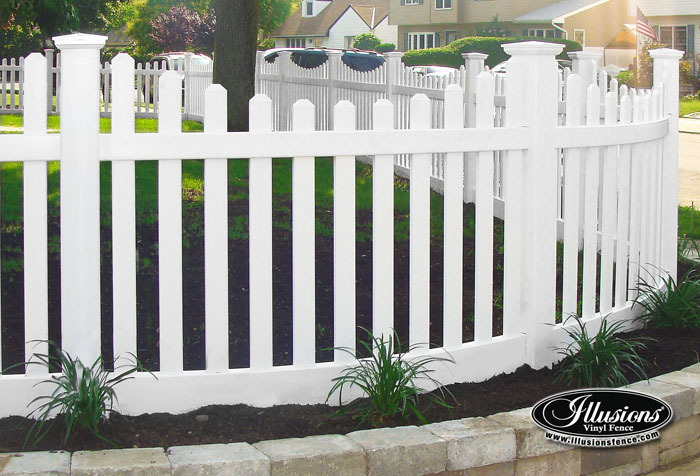 At New Jersey Best, our vinyl fences are ideal for residential or commercial use. Around the home, a vinyl fence is safe for homeowners, children, and pets. To decide which type of vinyl fence you should invest in, talk to our friendly, experienced staff today. Safety & Security: Vinyl fences are safe for a number of reasons. Firstly, they are designed to keep pests out and keep your home and family secure. Because they are not made from wood, it makes it difficult for insects and other pests to dig, burrow or eat their way through the fencing. Not only that, but an interesting fact is that in the event of a fire, vinyl fences will not burn. Though you can set them alight as soon as you take the flame away they will self-extinguish. Environmentally friendly: Vinyl fences are not treated with any hazardous chemicals, and they are recyclable. Not only that, but they are also available to purchase as already-recycled plastic, or made from natural materials. They also do not use any fossil fuels during production. Durable: Vinyl fences are made to last. They can last anywhere from 20 to 30 years without any problems, and you’ll find that most vinyl fences actually come with a lifetime warranty. Great for the weather: A vinyl fence is ideal for all types of weather. Unlike wooden fences or iron fences which tend to rot or rust, vinyl fencing is suited to hot, dry, wet or icy weather conditions. They are waterproof and easy to clean. Easy to maintain: Your vinyl fences will only require occasional cleaning. You can do this with warm water, a cloth, some soap or fence cleaner and a little bit of elbow grease. They can add value to your property: Vinyl fences look great from outside the property and inside. Because it is available in a number of different colors and textures you can choose a design that is guaranteed to enhance the athletics, and the value, of your property. Easy to install: Provided you give our team a call and have the right people for the job, vinyl fences are easy to install thanks to being lightweight and prefabricated. When it comes to the cost of your vinyl fence, there are a number of things you will need to consider in your budget. Generally, you’ll pay around $20-$30 per linear foot if you’re considering a picket style fence or around $40-$50 per linear foot for a privacy style fence. However, these prices will vary and labor is likely to cost extra. The thickness: vinyl fences are available in a range of thickness styles. The thicker your fence, the more expensive it will be; however, this also means it will be more secure and last longer so you may consider that it is worth the investment. Although most vinyl fences are white, you can choose from a range of different colors and we have a variety of beige, brown and red styles available. We can even create the right colors for you if you’d like your property to stand out. The more natural your coloring, the cheaper it will be. if you prefer your fence has a more natural design, while still maintaining the benefits of vinyl, we also offer a range of wood grain or other texture options. These are still vinyl fences, but they look just like wood, stone, and so on. Ideas include granite, stone or simple design embellishments. The larger your requirements, the more you will pay. Why choose us for your vinyl fencing? There are many benefits to a vinyl fence. 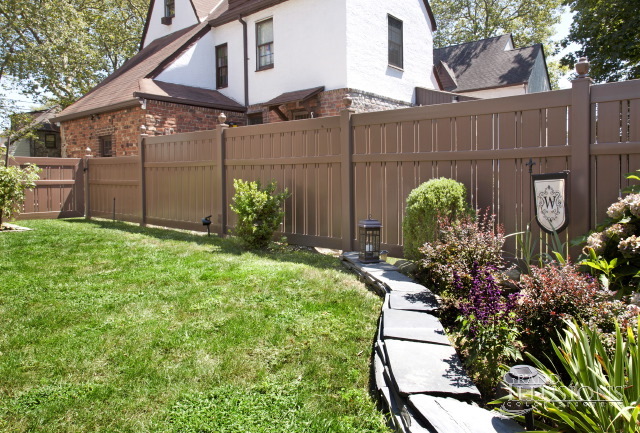 Be sure to get the type of fence that meets your exact needs. At New Jersey Best, we have local knowledge and experience that is 2nd to none. This allows us to provide you with everything you need to ensure the security of your property. Our vinyl fences are available in all styles with matching or custom designed gates. We will work with you to ensure you receive the maximum value for your investment. That’s why we take the time to extensively work with each customer. All our fencing installations meet full safety guidelines for the New Jersey. Give us a call or get in touch via our contact us page today. 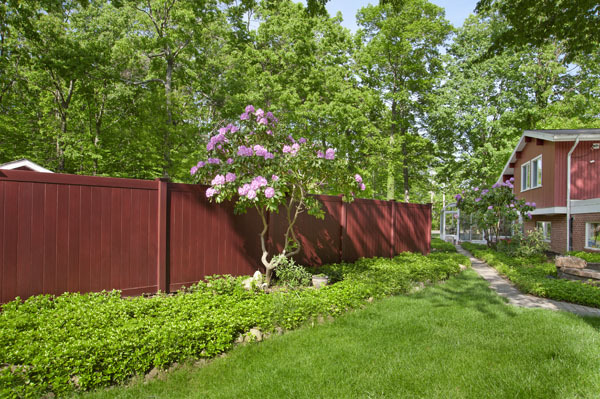 Does The Color Of Your Fence Matter?